In a medium saucepan, heat the water and milk to a low simmer. Stir in the cocoa powder and sugar. Reduce heat to low. Add a tablespoon of butter and keep stirring until it melts. Mix in the vanilla, salt and cinnamon (if using). 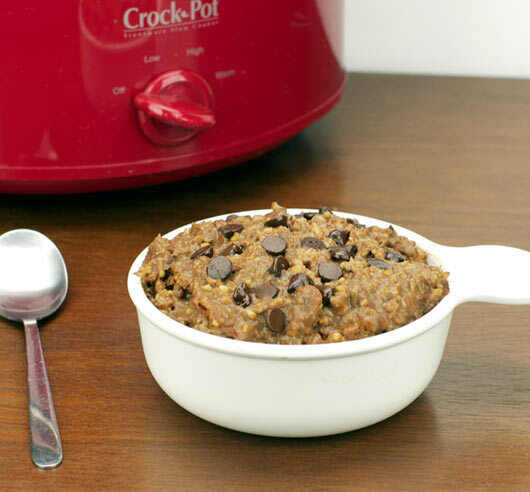 Combine the liquid mixture with steel cut oats in a slow-cooker. Cook on low for 6 to 7 hours - stirring occasionally for the first hour or two. Preparing the liquid mixture in a sauce pan has the benefit of letting you taste it before you add the oats and commit to it. You may wish to add a bit more sugar or cocoa powder depending on your tastes. Be careful with the cocoa powder. A little goes a long way. I tried this recipe once with 3 Tablespoons of cocoa powder and the result was slightly bitter. When serving, consider garnishing with mini-chocolate chips or chocolate shavings to make double-chocolate steel-cut oatmeal. 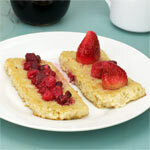 Fresh or frozen raspberries or strawberries are a great addition as well. 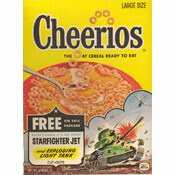 If you get up to use the restroom in the night, consider giving the oats a quick stir. Everybody's slow cooker is a little different. Some people will cook this recipe for 8 hours without stirring it and it will come out perfect. Another person with a different cooker will follow the same directions, but find that the edges are scorched after 6 hours. A quick stir midway through cooking will help prevent scorching no matter how fickle your cooker might be. Cook breakfast while you sleep! 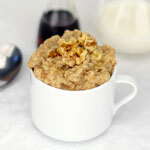 This easy-to-make slow cooker oatmeal recipe is easy to modify to suit your tastes. 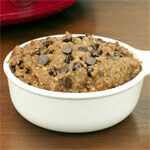 What do you think of Chocolate Steel Cut Oatmeal (Slow Cooker)? I made it over the weekend. Bottom got a little scorched, but the rest was okay. It definitely needed the chocolate chips at the end to give it more chocolate flavor.